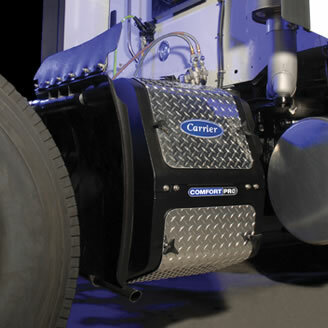 The ComfortPro Electric APU allows drivers to turn off the engine, stay comfortable, and reduce operating costs. Whether you stop for 30 minutes or overnight, the ComfortPro APU delivers reliable heating or cooling in your cab. The ComfortPro APU electric uses 4 AGM batteries to deliver up to 12 hours of Climate Control allowing you to rest comfortably all night. Externally mounted on side rails, ComfortPro Electric APU is protected in its own weatherproof compartment. 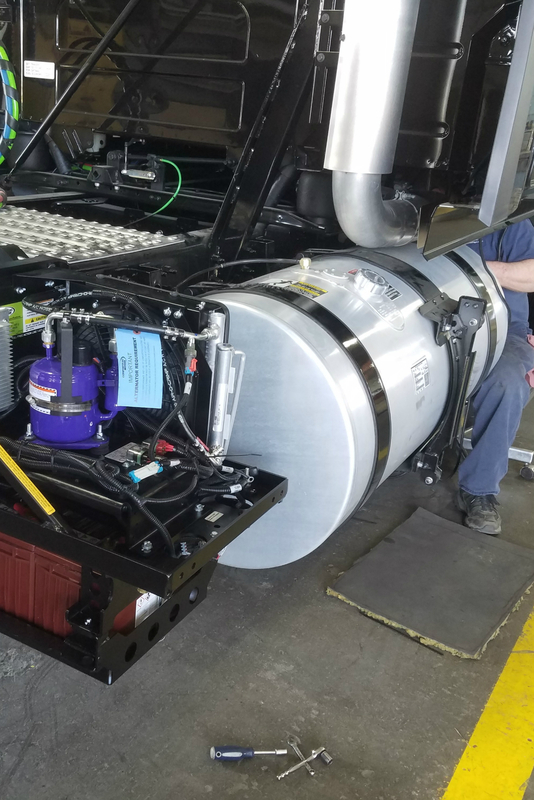 Running off of 4 AGM batteries, with a total of 400Ah, the Electric APU eliminates your exposure to fluctuating fuel costs and maintenance on an additional diesel engine, while producing zero emissions in cool mode. Click here for the ComfortPro Electric brochure. Shorepower kit allows the unit to be plugged in to a standard 120v receptacle allowing for unlimited runtime. Air or liquid fuel fired heater runs off the trucks fuel supply and supplies 7,000 BTU/hr to heat the cabin or pre-heat the truck engine. 0.06 GPH fuel consumption vs. 1 GPH while idling truck engine translates into saving 940 gallons of fuel per 1,000 hours of idling. Hotel Power integrates a 1.8kW 120V inverter so that you can power cabin accessories. Interested in the ComfortPro Electric APU?